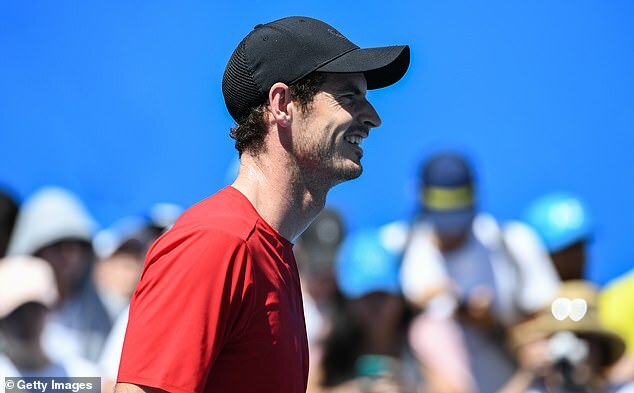 Andy Murray was out on the practice courts at Melbourne Park just hours before what could prove to be the final match of his glittering career. 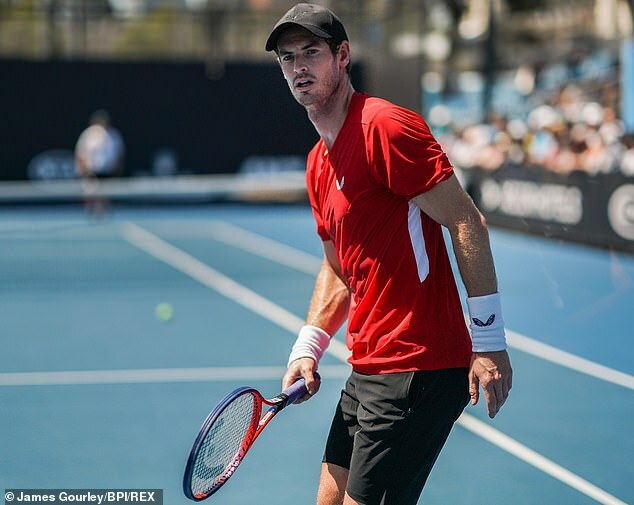 The former world No 1 announced last week that he is set to retire, but a chronic hip injury could force him to call it a day before his planned Wimbledon homecoming. Murray faces a tough opponent in the shape of No 22 seed Roberto Bautista Agut in his bid to make the second-round. 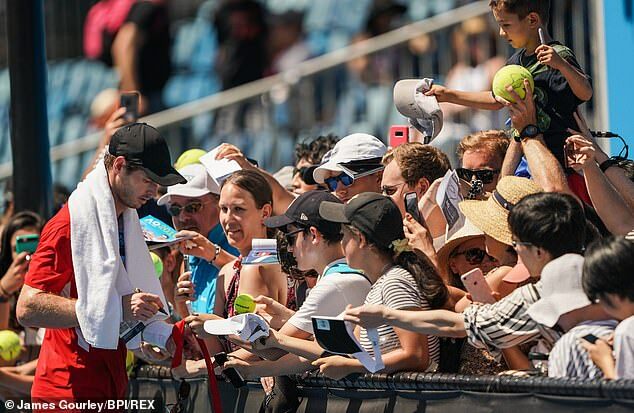 He looked in good spirits as he signed autographs for fans who watched him train alongside his coaching team. 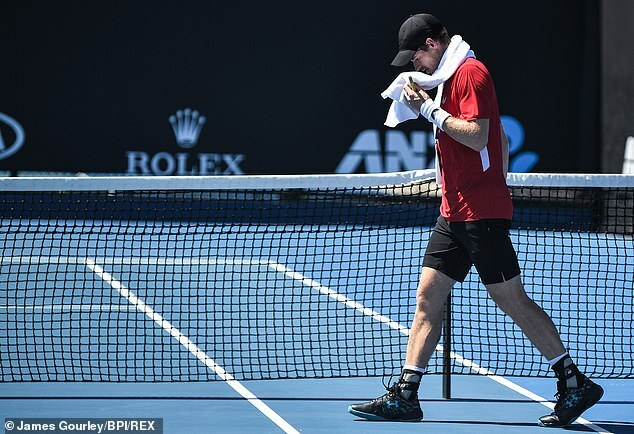 Tributes have poured in for Murray from around the tennis world as he announced he could no longer play through the pain barrier. 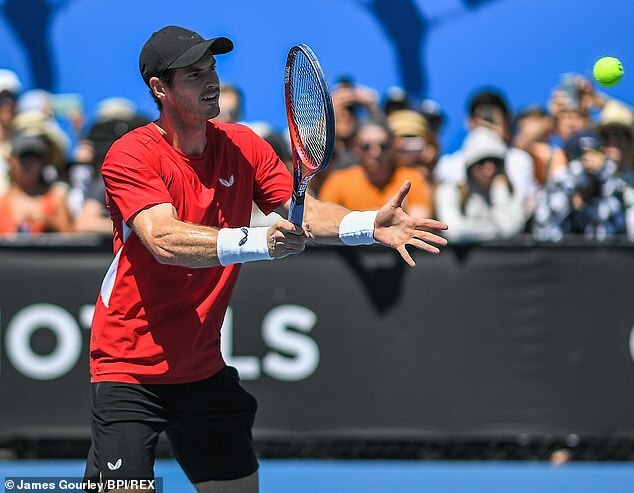 Defending Australian Open champion Roger Federer joined in the chorus and admitted the news has caused shockwaves in the locker room. 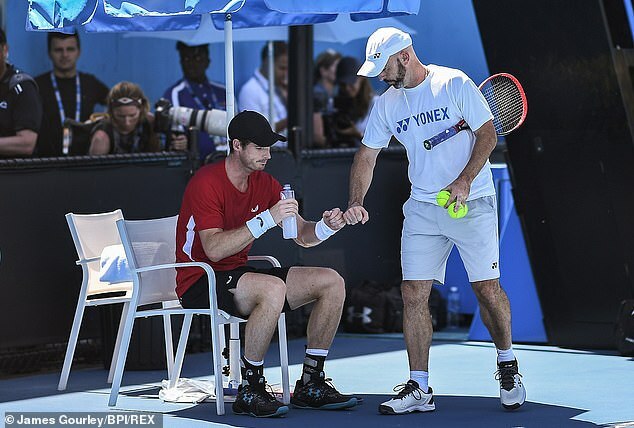 ‘Of course, it hits us top guys hard because we know Andy very well,’ he said on Sunday. ‘We like him. He doesn’t have many enemies, to be quite honest. He’s a good guy, Hall of Famer, legend.